Ask any outdoorsy types and they’ll tell you: food always tastes better out in the fresh air. Even indoorsy types would be inclined to agree. Or, at the very least, if they’re fresh air-adjacent. The South Strand gets this. Be it ocean, inlet, garden or, let’s face it, people watching, our restaurants know how to showcase those fabulous views better than anybody. So here you have it, the five best restaurants (in no particular order) near Litchfield Beach & Golf with a view to remember. 1) Austin’s Ocean One: As if the food weren’t enough of a draw, Austin’s ensures every seat in the house has a spectacular Atlantic view. Dig into their sublime Pistachio & Ginger Grouper or a perfectly cooked filet while watching the tide roll in. A bottle or glass from their extensive and excellently sourced wine list will ensure that all your senses are heightened. This is a slam-dunk place for date night. 2) Frank’s Outback: As the outdoor sister to popular contemporary American chophouse Frank’s, the “outback”part refers to its gorgeous garden seating. The special outdoors menu reflects its natural setting, with an emphasis on small plates and a special wood-fire pizza selection. Throw some fried oysters on your iceberg wedge, tuck into a Shredded Short Rib pizza, and breath in the ambiance of hauntingly beautiful live oaks, twinkly lights and relaxing water features. Oh, and if you choose to sit indoors, the open kitchen provides some dazzling entertainment as well. 3) Wahoo’s Fish House: When it comes to views, you really can’t go wrong anywhere in Murrells Inlet. We’re going out on a limb, however, to give this honor to Wahoo’s Fish House. 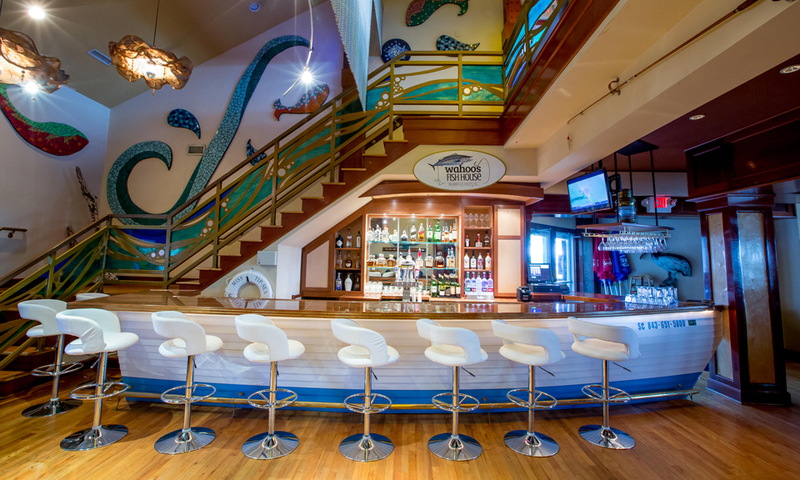 Both its main restaurant — each of the two stories — as well as its more casual adjacent Bar & Marina offer delightful inlet sights. The bar often hosts live music, all the better enhance your evening as you watch the pelicans dive, the boats arrive and the MarshWalk revelers sip and stroll. Don’t be fooled by the super-casual ambiance; their sushi is incredibly fresh and imaginative. 5) Gulfstream Cafe: Call it the north end of the South Strand; this Garden City gem is beloved for its seafood and sea views. 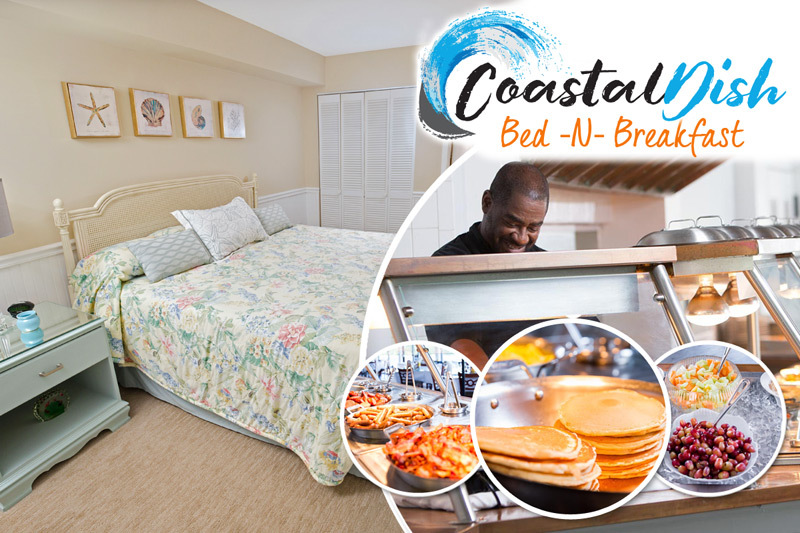 Watch the mesmerizing sunset over the inlet alongside the likes of fancy-pants broiled lobster tail stuffed with jumbo lump crab meat, or the more approachable Southern fried oyster platter. The menu is on the small side, but honed to perfection — always a great sign in a restaurant. Not only do you have the striking waterfront before you, but the twinkling lights and distant revelry of Murrells Inlet will put your quiet perch into perspective. Order an ice-cold beer or white wine and watch the evening become a Summer 2015 highlight. Other spots we love: Nance’s Creekfront Restaurant is low-key but high quality. We love it any time of the year, but visit Nance’s in an “er” month (October, November, etc.) for the freshest in-season oysters. Sara J’s Seafood, in a quieter corner of Murrells Inlet, has some of the most abundant shrimp options around and the placid marsh waters to relax you to your full-bellied core. Conch Café in Surfside is right there on the spectacular ocean and has a great patio with wonderful views. It gets busy, given all the rental homes around (heads up for golf carts on the move). But as the name implies, they serve some crave-worthy conch fritters.